Lt Col James Hecker, the 27th Fighter Squadron commander, delivers the first operational F/A-22 Raptor to its permanent home at Langley Air Force Base, Virginia May 12, 2005. Tail number 3042 marks the first of 26 "Raptors" to be delivered to the 27th Fighter Squadron. 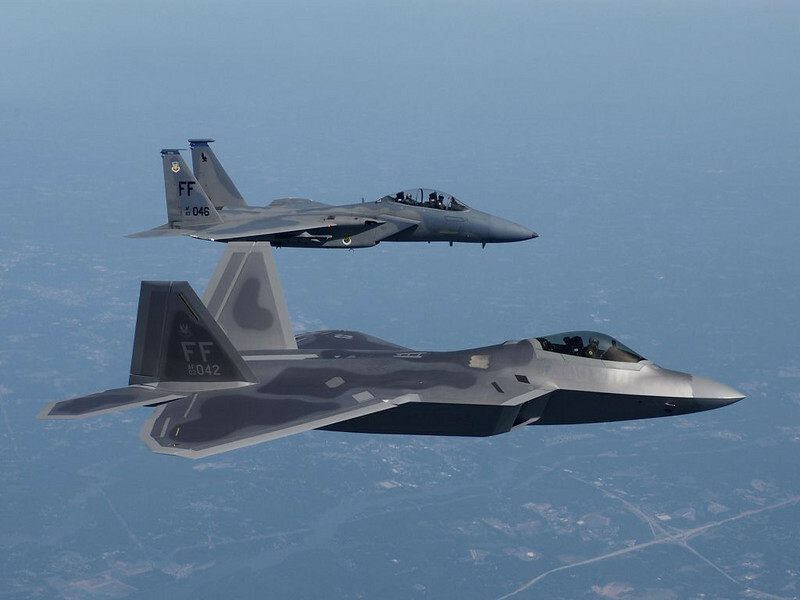 Capt David Elliot and Maj Charles Corcoran, pilots assigned to the 27th Fighter Squadron, accompanied the "Raptor" during its delivery.